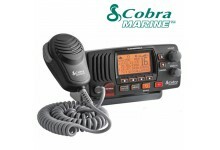 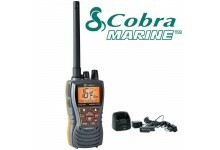 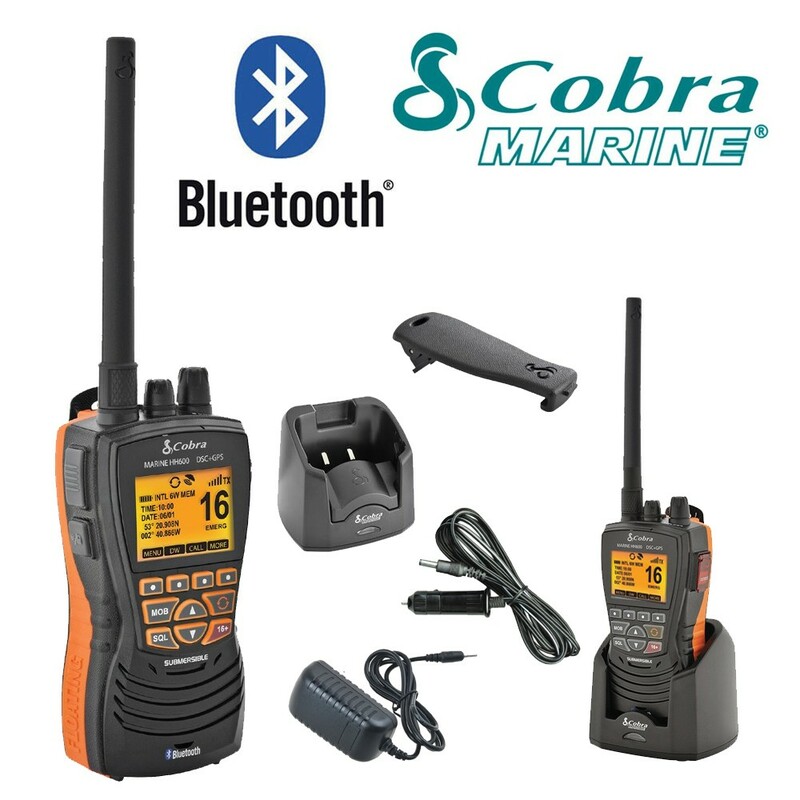 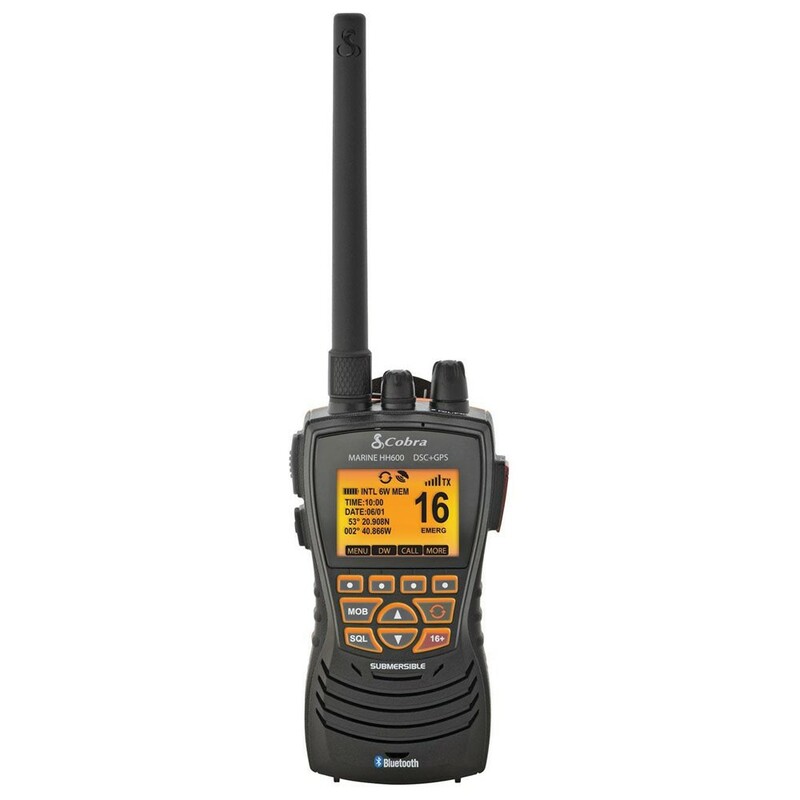 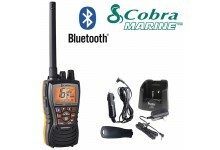 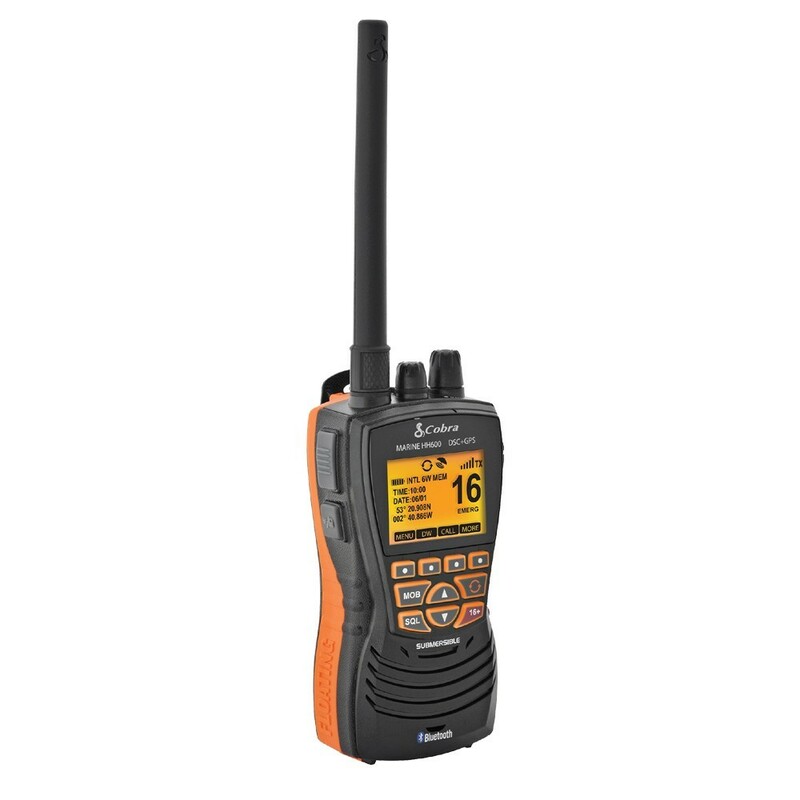 The Cobra Marine MR HH 600 VHF radio with GPS & DSC is Cobra′s first handheld radio that shows your GPS coordinates and automatically transmits them with DSC calls to notify the Coast Guard or other vessels of your exact position in case of emergency. This life saving radio also features a floating orange core so it′s easy to see in water and has a built-in flashlight and emergency strobe. 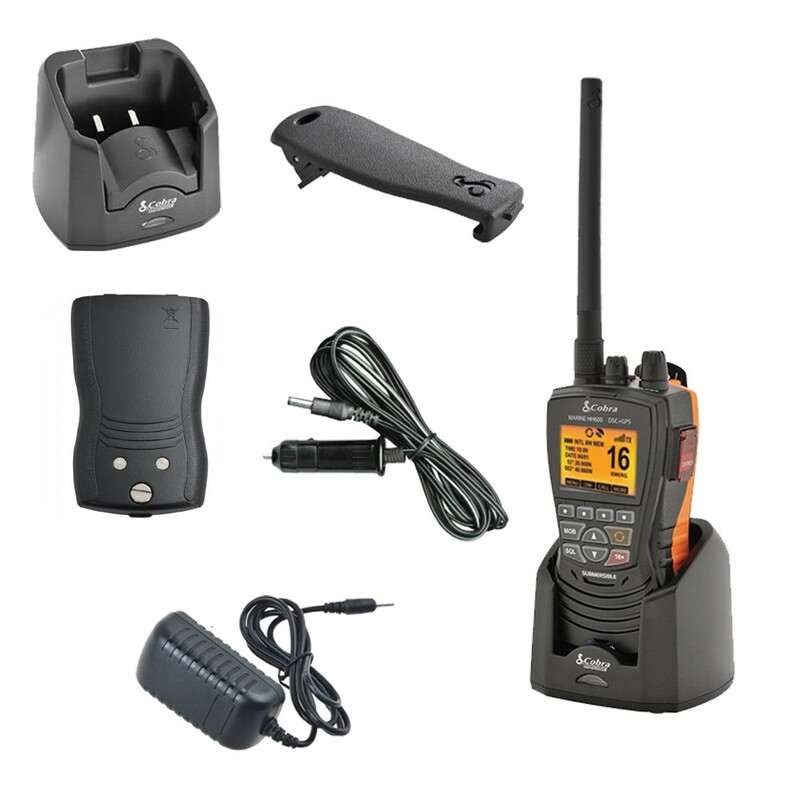 Lastly, the MR HH600 keeps your cell phone safe and dry, and allows boaters to place/receive phone calls through the radio.